No, not in the mirror . . .
What’s your favorite shape? I ask this because I think I might have a new favorite shape. Actually, I never really thought much about shapes until a few minutes ago and the reason why I even began thinking about shapes was because I have a new favorite activity . . . More about that in a few! If someone were to guess what my favorite shape was, most people would probably say a circle or sphere . . . This makes sense because yo-yos are such a large part of my life. Circles are round therefore Ooch must love circles. It makes sense! I DO love circles. So many things I like are circular! One person even guessed that I’d like a circle because my favorite color is orange! Why? Oranges are round. Clever. So yeah, I love circles but I’ve recently discovered the joy of squares! Ladies and gents I can now solve a Rubik’s Cube!!! It’s so funny because I never thought I’d EVER be able to solve the cube. I was under the assumption that I’d have to figure it out. Boy was I wrong! So I was on a plane headed to Dallas for a toy show and I found myself sitting next to a guy with a wooden Rubik’s cube. As it turns out he was a rep for the company that makes the Rubik’s cube. I asked him if he could solve the cube and he told me that everyone who works for Rubik’s needs to be able to solve it. I immediately that I’d NEVER be able to work for that company! I’m not smart enough. Then he told me something that changed my life. He said that I could learn how to solve it from a DVD. “Really”, he said. “Solving a cube is a matter of memorizing a series of algorithms.” Algorithms? Sounds complicated. He told me that an algorithm is really a combination you memorize based on patterns found on the cube. “There are about 7 steps to solving the cube,” he said. 7 steps? That didn’t sound too bad. So he agreed to send me a cube with the DVD and when it came in the mail I went straight to work!! It wasn’t quite as easy as I hoped but vastly easier than I originally thought it’d be. When I first was learning I had to take it very slow. One step at a time. I learned one combination and practiced that over and over and over . . . I practiced it until I could do it without thinking about it. From there I went to step 2, practiced over and over and over . . . and so on . . . It took me about a week (practicing a little bit each day) to get it solved for the first time. And let me tell you, the feeling I got from getting those colors matched up on all sides was PURE JOY!!! I felt so good about myself that I wanted to learn how to do it faster and faster. I began carrying the cube everywhere. I now had another trick to put into my bag, so to speak. From there on, no matter where I was, if there was a Rubik’s cube in my midst I could conquer it!! The best part of discovering the Rubik’s cube was the discovery that I could do something I never imagined possible. My limited knowledge of the cube had me assuming that I needed a certain IQ or skill in geometry or math to be able to do it. When I found out that I could learn how to do it (and did) my perspective on life changed. I now find myself thinking about all the other things previously I assumed were impossible and wonder if I REALLY CAN achieve them! Hmm, I’ve always wanted to learn how to fly a helicopter . . .
What’s also cool is that I’ve taught other people how to solve the cube. It feels so awesome to share my knowledge with people who, like me, never thought they could do it. Seeing others accomplish something new and knowing that I helped gets me pumped! So now I have two favorite shapes – circles and squares! Do you have a sweet skill that you can share with others? If so, I’d love to know! 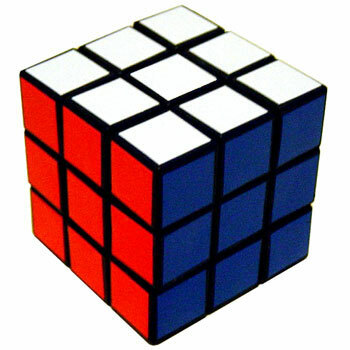 If you want to learn how to solve the Rubik’s cube, CLICK HERE. Hey guys! I’m back with more. Many of you know that I have a catch phrase and it’s, “Awww yeah!” I use it when I like something or I’m excited about something. Often times it’s followed by my signature move . . . the Ooch point as indicated below. Every time I have a show I share my catch phrase and Ooch point with my audience. As most of you know there are many times to use it, like when your teacher rewards the class for doing something good. That’s a great opportunity to show your appreciation of his or her appreciation of you! You might even use it at home when your parents do or say something that gets you excited. It’s fun to look at them and with a big grin on your face do the Ooch point and say, “Awww yeah”! I even suggest using “Awww yeah” with the point as part of the ‘step back and spin it’ technique. You see sometimes when I get angry I need to snap myself out of being mad, so I take a step back, spin my arms in a circle, point at the problem and with a head-nod say, “Awww yeah”! Usually, by the time I finish doing that little routine I’ve taken the seriousness out of my anger and can look at the situation with a level head. It’s a great technique to prevent me from doing or saying something I’d regret immediately after. It gives me a moment to chill out, realize I’m angry and do the RIGHT thing. What I DON’T talk about is when it’s not appropriate to use it – like if you were in the middle of a library and you busted out with a loud, “Awww yeah” for no reason. People might find that upsetting or even annoying. I always have a good reason to do the Ooch point and give an “Awww yeah”. It’s special and I don’t overuse it. I’d encourage you to do the same – save it for something that you REALLY like or are especially excited about. Sure, I’d love to have my special point and catch phrase become a household thing! I’d love to know kids (and adults) all over the world where doin’ the Ooch point and saying “Awwww yeah” every time they were excited or happy about something. I’d be bummed out, though, if I knew it was being used to annoy an older (or younger) brother or sister or was getting someone in trouble for over-using it. Guys, have fun with it! Use it! But always remember to use it responsibly. You know what? Now is a good time to use it. 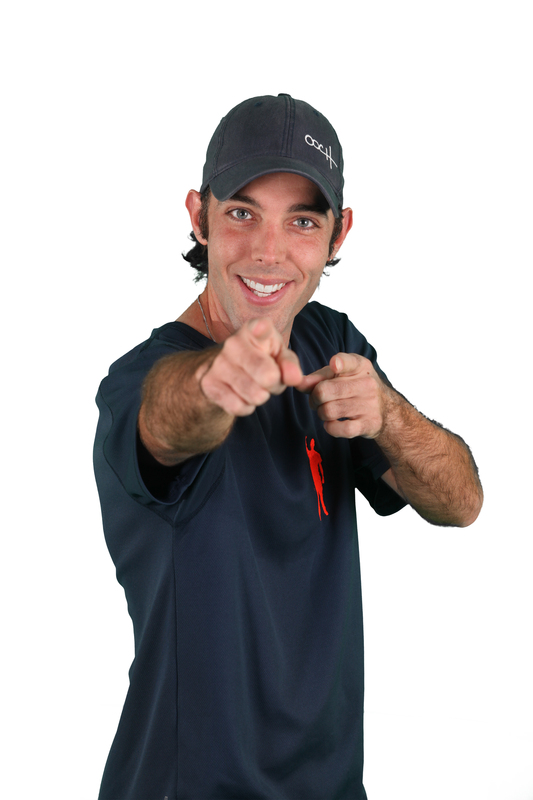 Get up, go to a mirror, take a good look at the ridiculously good looking person staring back at you and hit em with your best Ooch point and “Awww yeah”! After all – you deserve it!! Hey guys! Ooch here. So I had a great couple of shows today in Sudbury, MA. I’d love to give a quick “Awwww yeah” to them! You guys and gals were AWESOME and I hope to see you again soon!! So people ask me all the time, “Ooch, what’s with the orange shoes?” And depending on my mood the answer varies… Sometimes I tell people that I wear orange shoes because I like orange. Quick Ooch factoid – my favorite color is orange followed by grey and then electric blue. 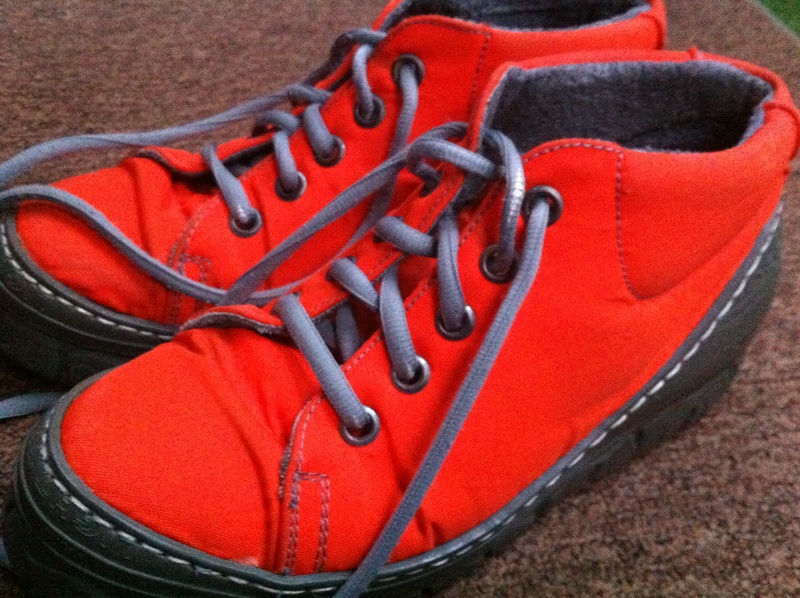 Other times I tell people I wear orange shoes because orange is the color of creativity. And then there are times that I tell people that my orange shoes are my game-day shoes. Basketball players wear their game shoes on the court . . . I wear my orange shoes on stage. So do my orange shoes make me a better yo-yo player? Not necessarily but they DO give me confidence. I feel pretty cool when wearing them and people always compliment me on them. So I guess in some ways they make me a better entertainer. I mean, the shoes alone are entertaining!!! I can’t lose!! I wear orange shoes for many reasons but here’s the most important reason – I wear orange shoes because the are part of what makes me unique. I’d love to know what you do that makes you unique. Do you have a certain style or fashion that is uniquely you? Do you have a special dance move that is your signature move? What about you makes you feel cool or confident? What makes you stand out from the crowd? I’ll be looking forward to seeing your posts!! Ooch out . . .
Ooch here! I’m back in the states. Here is a great video introducing segments from my positive spin presentation at one of the schools, in 2010. This program empowers every student to turn negative situations into positive ones through the use of two simple words – “Spin it”. The performance addresses issues that are important to elementary and middle schoolers and affect them on a daily basis. Ooch discusses and offers the students tips and tricks relating to such issues as popularity, making and keeping friends, earning respect of teachers and peers, becoming comfortable in your own skin, bullying and dealing with failure.